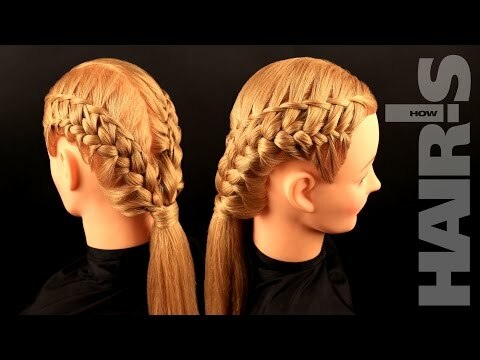 Step 1: Part hair with two vertical lines into three- right, left and central strands. Fasten right and central strands in a clamp. Step 2: Separate thin triangle section of hair on the left and divide it into three strands within. 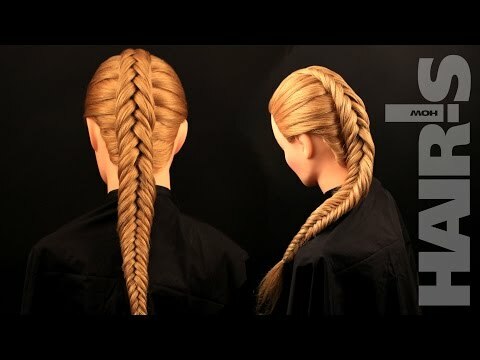 Weave it once as a simple braid. 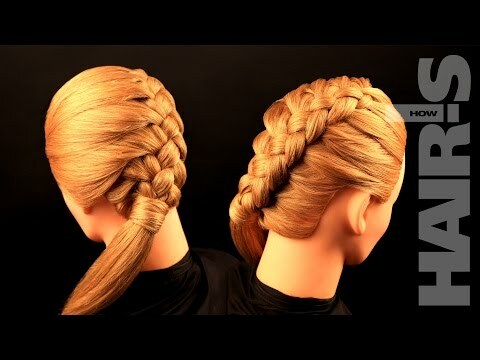 Step 3: Continue simple braiding, but now incorporate tieback and separating the strands. 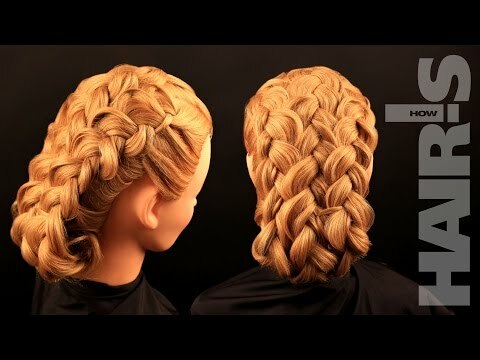 Put left strand over the middle strand, separate a strand from the loose hair on the left and add to the left strand of the braid. 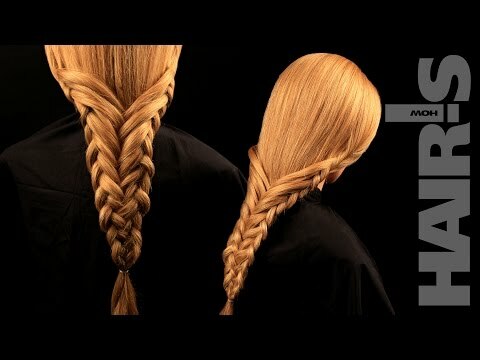 Don't braid the right strand, just put it aside. 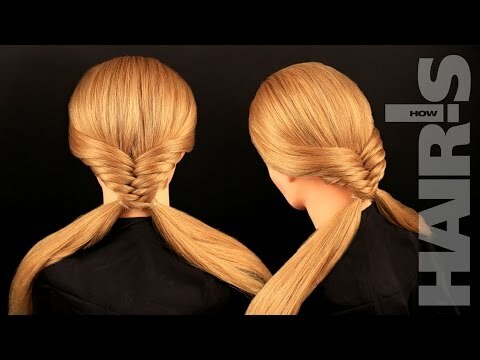 Separate a strand from the loose hair on the right and interlace it into the main braid. Step 4: Continue weaving the braid separating and putting aside the strands along the edge line till the nape. 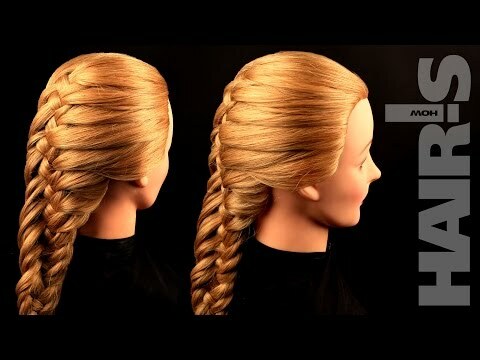 Step 5: Finish up with a simple braid. 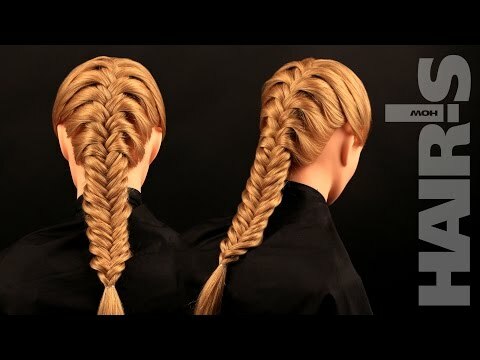 Gently pull slightly every coil on the left side of the braid. 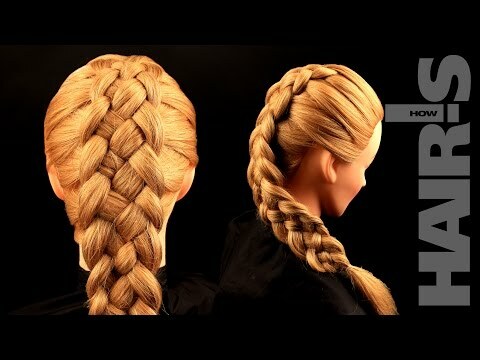 Step 6: Do the same braiding on the right side. 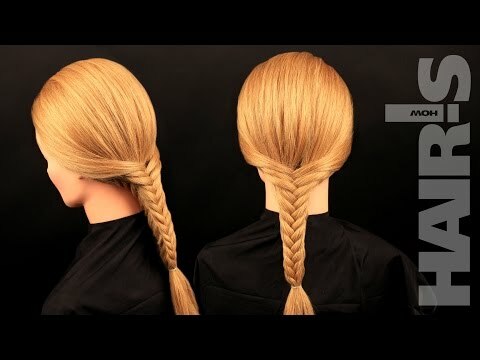 Continue braiding with a tieback and separating the strands. Now the separating of the strands is on the left side, just keep putting them aside one after another. 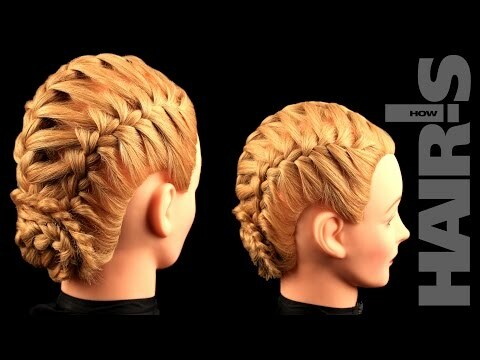 Braid till the edge line of the nape. Step 7: Twist the loose edge into a plait. 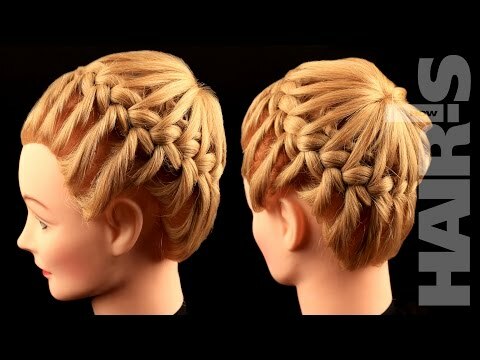 Step 8: Braid the hair in the central section into a French plait. 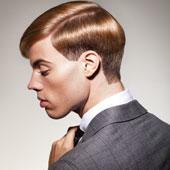 Incorporate a tieback and also the hair that was put aside from both sides. 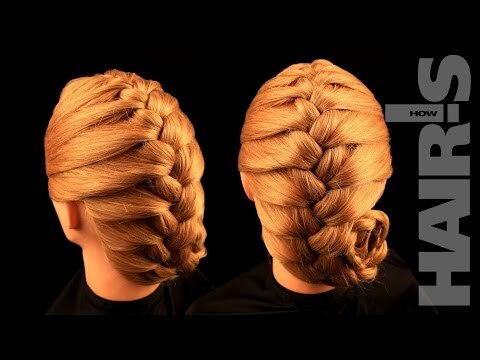 Step 9: Finish with a simple braid. 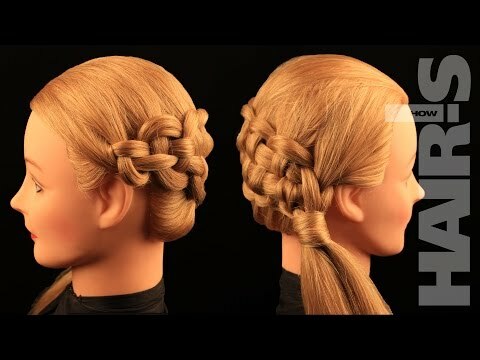 Step 10: Curl and make the central plait into a bun on the nape. Secure with hairpins. 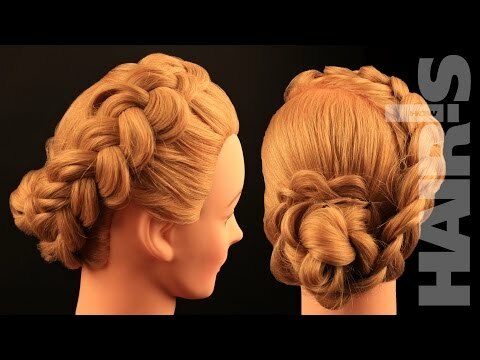 Step 11: Cover the bun with a twisted plait and secure with hairpins making the edges invisible. 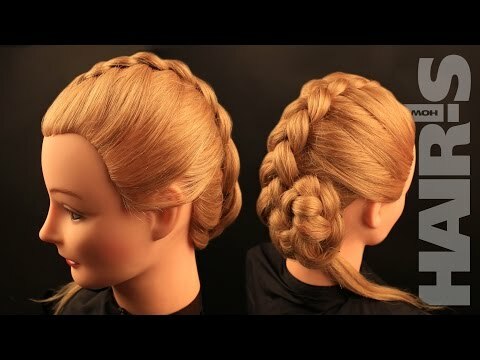 Step 12: Put the left braid over the bun with the coil side up. Secure with hairpins.